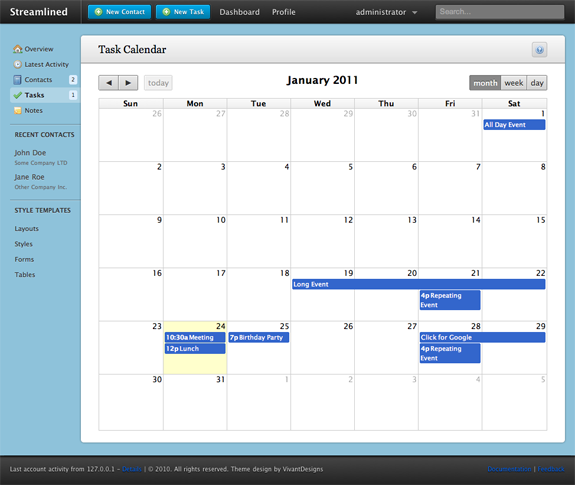 Streamlined premium theme is an admin template for contact management and customer relationship management applications. It includes element styles for buttons, tabs, tooltips, and progress bars among others. If you are creating an HR application, CRM application, or a contact/task manager, Streamlined is the perfect template to use on your WordPress site…and at a steal of a price! Come back and check out the showcase as we find more sites from around the web using Streamlined. What Portfolio Designs Would We Continue to See in 2010?